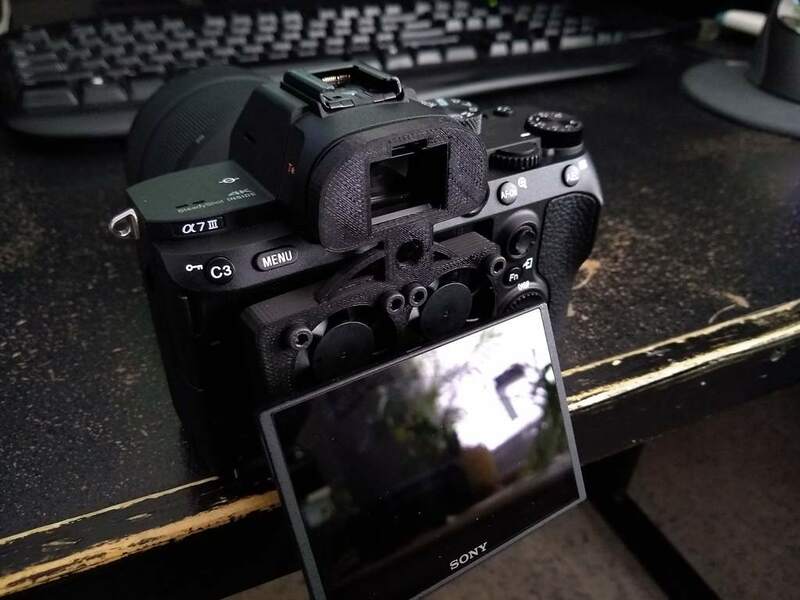 If you need a body cooler for your Sony a7III for extended use than this printable project is probably your best option. The directions are for a Monoprice Maker Select Plus printer, which you can find on Amazon. The project has ups and downs which you can read about below or you can just download the printable project from here. 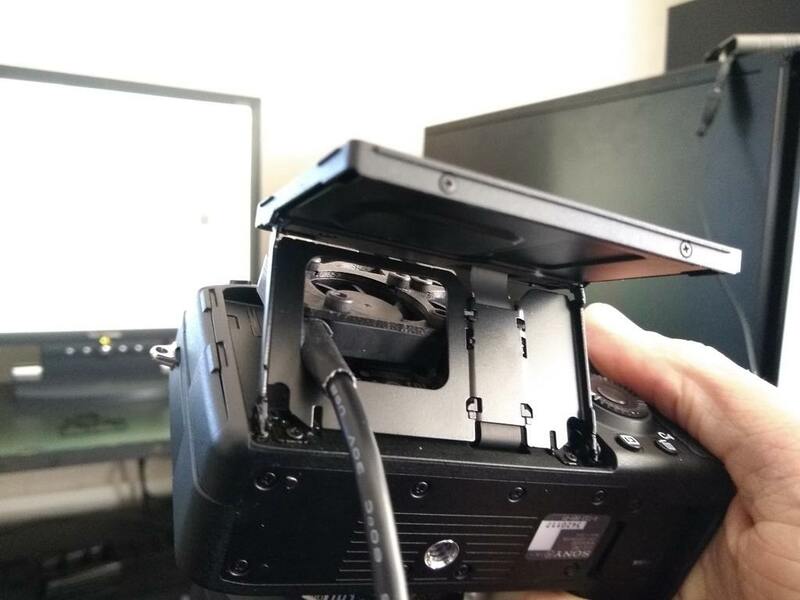 Body cooling fans for your Sony a7iii! 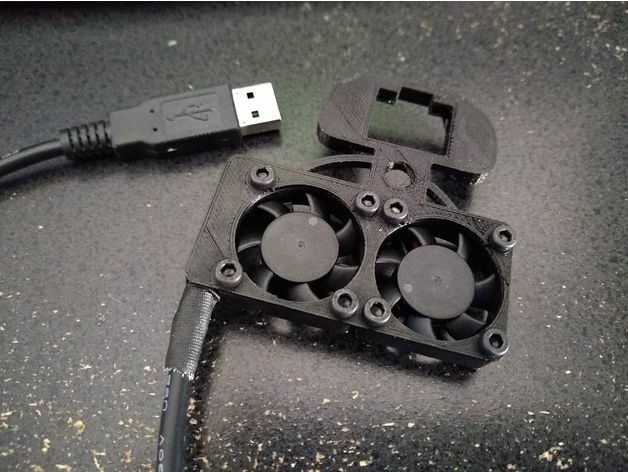 Fan assembly replaces the stock eyepiece and is powered by USB. The area behind the LCD screen gets quite warm during video recording. The goal is to force air across this area to keep the camera body cooler. On my very first 4K shoot with the camera it overheated. While I have not had a problem since then (see “conventional methods” below) I can imagine a time where I will need to use the camera in more extreme conditions and will appreciate some additional peace of mind. 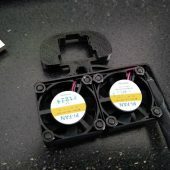 Are there better ways to avoid overheating? Conventional methods such as keeping equipment out of direct sun, keeping the battery and SD card doors open, keeping LCD screen fully tilted and pulled out, using a LCD hood to keep screen brightness down, using a dummy battery, avoiding running on USB power so the battery doesn’t charge between takes, rotating batteries between takes/at breaks, turning the overheat shutdown setting to high, etc. will likely have more impact than these fans! 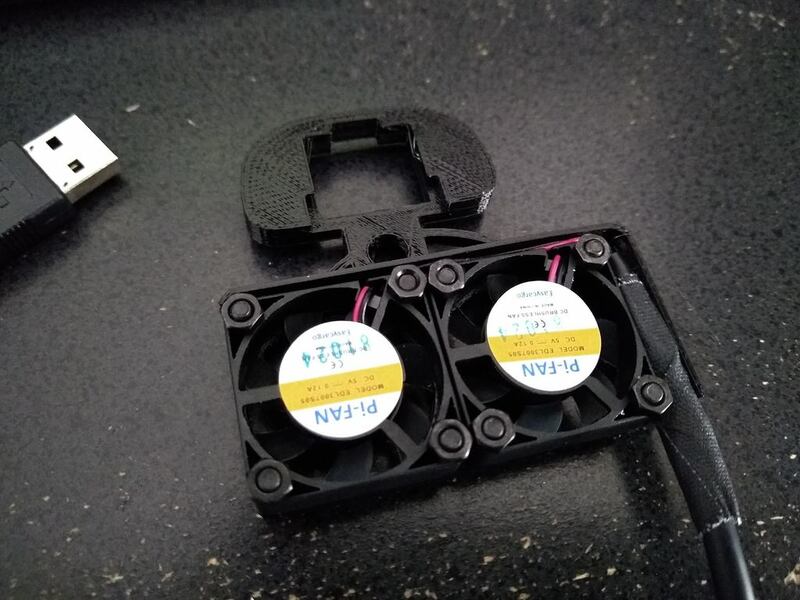 Operating your camera in extreme conditions, ignoring overheat warnings, etc, may lead to equipment failure/damage, even when using these fans and all conventional methods listed above! Use at your own risk. Does it vibrate the camera? Use between takes if this is a concern. Not very loud but you will definitely hear the fans while using the in-camera microphone. Use an external/wireless microphone or between takes if this is a concern. Blows air across hot part of the camera body. The design could use polishing/tweaking for sure. 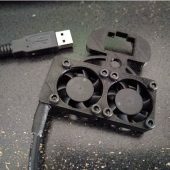 The final tinkercad project is located here but I was plagued by phantom shapes throughout the process so it may not be that useful or easy to tweak. For a glimpse into madness tinkercad projects 1, 2, and 3. Tight fit and nuts/bolts may cause scratches. 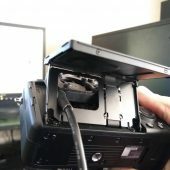 LCD screen must be fully open for the fans to fit. Does not draw enough power to run directly off my USB phone battery pack for more than 15 seconds at a time. I may have to experiment with adding some resistors or additional fans to draw more current. 1x USB power source – I used a phone power/battery pack but this shuts off after about 15 seconds due to the low current draw. When plugged into a wall charger the devices runs constantly. This entry was posted in Accessories, Sony a7III and tagged Monoprice Maker Select Plus. Bookmark the permalink. Trackbacks are closed, but you can post a comment.